Picture the current Kinmundy ballfield in your mind. 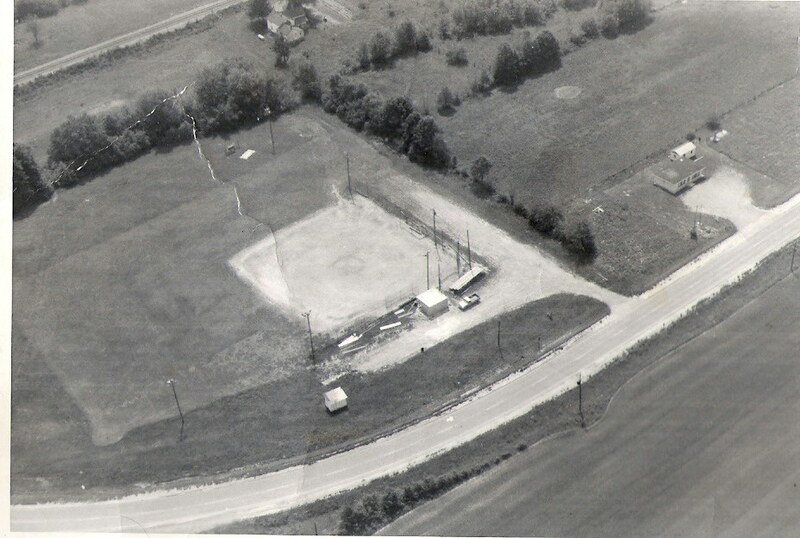 Now, take a look at this old ariel picture of the field and it's surrounding area. Pretty cool, huh? Marla Shirley was given this photo along with several other old Kinmundy pics and allowed me to scan it for everyone to see. There's been quite a few changes over the years. If anyone can get close to a date when this might have been taken, please let me or Marla in on the details.